Obestiy.ClinicalEncounters.com was developed by Clinical Tools, Inc (CTI) with funding from the National Institute of Diabetes and Digestive and Kidney Diseases (NIDDK) (Grant #2R44DK091144-01A1). We gratefully acknowledge this support, which was the sole funding source for this project’s development. Approximately 1/3 of American adults are considered obese (body mass index [BMI] ≥ 30), and slightly more are overweight (BMI 25 to 29.9). Obesity increases the risk of a number of chronic diseases, including coronary heart disease, type 2 diabetes, and certain forms of cancer and is associated with disability and premature death. The dire implications of the adult obesity epidemic grow worse over time. Despite front-page coverage and universal agreement that the epidemic in weight gain and secondary disease establishment must be addressed, the problem continues. Obesity.ClinicalEncounters.com impacts patients with overweight and obesity via deliberate practice-based training of providers and improved communication between patients and providers. Clinical Encounters: Obesity is designed to improve provider competence and performance, as well as patient outcomes. The site provides skills training for primary care providers on the topic of overweight and obesity prevention and treatment. The activities use cases to simulate real-life patient encounter scenarios. 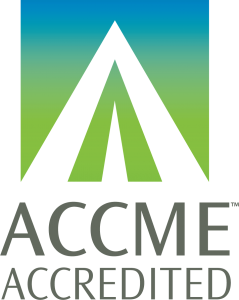 Clinical Tools, Inc. is accredited by the Accreditation Council for Continuing Medical Education to provide continuing medical education for physicians. Clinical Tools, Inc. is an NBCC-Approved Continuing Education Provider (ACEPTM) and may offer NBCC-approved clock hours for events that meet NBCC requirements. The ACEP solely is responsible for all aspects of the activity. The site has been put through multiple rounds of iterative usability testing with medical professionals and has been improved according to feedback. Thank you to everyone who was involved as we developed the materials for this site. If you have further suggestions on how we can improve the website, please Contact Us. If you have questions, please refer to the Frequently Asked Questions.